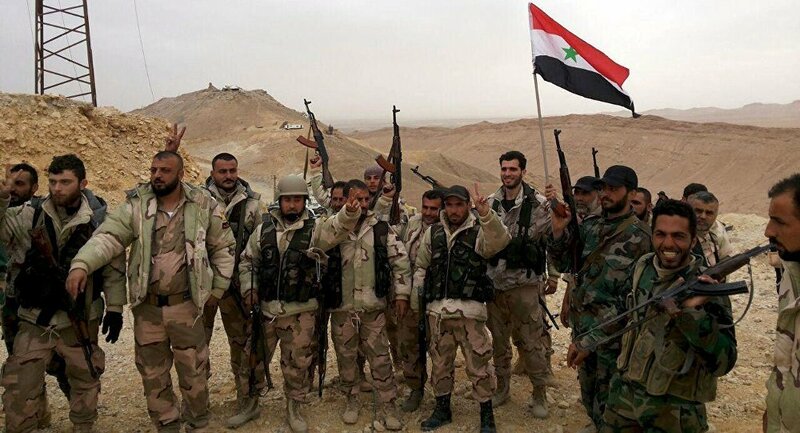 The Syrian Army and popular defense forces, supported by Russian warplanes, have successfully ended the operation to liberate Palmyra from Daesh terrorists, the SANA news agency reported on Sunday. "After heavy fighting during the night, the army is in full control of Palmyra — both the ancient site and the residential neighbourhoods," a military source told AFP. The Army and People's Defense Forces are chasing the rest of Daesh militants who left Palmyra retreating to Raqqa, Deir Ez-Zor and Sukhnah. According to a military source cited by Al-Masdar News, the terrorists lost hundreds of fighters and weapons during the battle for Palmyra. — أمل سوريا (@Hope_Zahra) 27 марта 2016 г. ​It was reported earlier that the Syrian Army had advanced into Palmyra with the support from the Russian Aerospace Forces. "Army sappers are in the process of defusing dozens of bombs and mines planted inside the ancient site," the source added. The Syrian Army's offensive on the city of Palmyra to recapture it from Daesh began on Thursday. — Ben Haddock (@BedfordHaddock) 27 марта 2016 г.
Palmyra, located 210 kilometers away from Damascus, is considered key for advancing to the Daesh stronghold of Raqqa in eastern Syria. — SyrianNotArab (@DeviantDodo) 27 марта 2016 г. All ISIS terrorists have retreated from Palmyra. Syrian Army engineers clearing mines now. — Leith Abou Fadel (@leithfadel) 27 марта 2016 г. The town of Palmyra and its historic ruins had been under Daesh control since May 2015. The jihadist group, which is outlawed in many countries, including Russia and the United States, has since destroyed part of the historic sites, which are a designated UNESCO World Heritage site. The terrorist group used the historic city's ancient amphitheatre for public executions, including the beheading of Palmyra's 82-year-old antiquities chief. — حمزة سليمان (@hamza_780) 26 марта 2016 г.